Dentech in Split, Croatia is a comfortable, modern dental practice offering a comprehensive range of dental services from an experienced, multidisciplinary team. Fully-equipped with an in-house laboratory and the latest dental technology, the clinic is designed to meet all dental needs and problems in the shortest time possible and at the best possible price. Services available include implantology, aesthetic dentistry, orthodontics, prosthetics and paediatric dentistry. Led by Dr Joško Radovic, the Dentech team is made up of experts who follow the latest treatments and developments in dental medicine. Together, they adopt an interdisciplinary approach to ensure individualised treatment solutions that are aesthetically pleasing, functional and durable. Each patient visiting Dentech is met by an expert who has specialist experience of their particular needs. During this initial appointment, a thorough examination including an X-ray or CT scan of the teeth is performed and a personalised treatment plan created. The Dentech offices are equipped with the latest orthodontic and dental equipment, including a new RTG-CT device for faster diagnosis and treatment. In addition, the clinic’s modern in-house dental laboratory boasts cutting edge CAD/CAM technology allowing it to manufacture high quality orthodontics appliances such as zirconium-ceramic crowns and bridges quickly and easily.These technologies ensure the best possible treatment with an added guarantee of no queuing, waiting or time wasting. 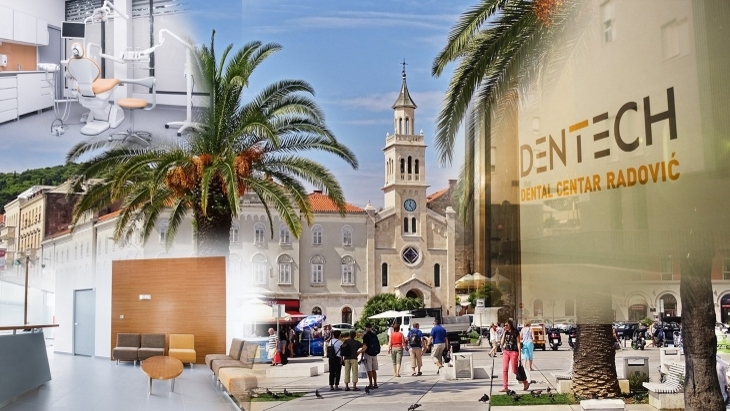 Located in the historic city of Split, with its beautiful beaches, friendly people and delicious Mediterranean cuisine, Dentech offers high quality dental services at prices that are much lower than countries such as the UK. The clinic provides a full dental tourism service for visiting patients, offering free apartment accommodation close by or, for those who would prefer half or full board accommodation, direct bookings at the four-star Hotel Cornaro. Dentech is situated approximately 18km by car from Resnik International Airport and five minutes’ drive from Split’s ferry port, railway station and bus station. Their friendly team are available to help with all travel arrangements, as well as providing free reception and transfers from the point of arrival to the clinic. Finally, Split really is a city for all seasons and the team are happy to advise on or arrange a wide variety of sightseeing, socialising and recreational activities such as a walk along the waterfront and the West Bank, a visit to the old city centre and Diocletian’s Palace, a trip to the greenery of Marjan Hill, relaxing in one of the city’s spa and wellness centres, a gastronomic experience in the best city restaurants or a night out in one of Split’s vibrant bars or night clubs. 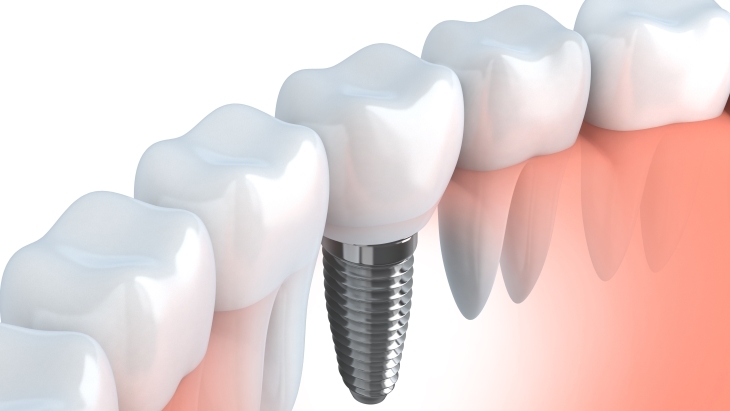 How, when and why to choose a dental implant? Dentech. a state-of-the-art dental clinic in Croatia, addresses the questions how, when and why to choose a dental implant. 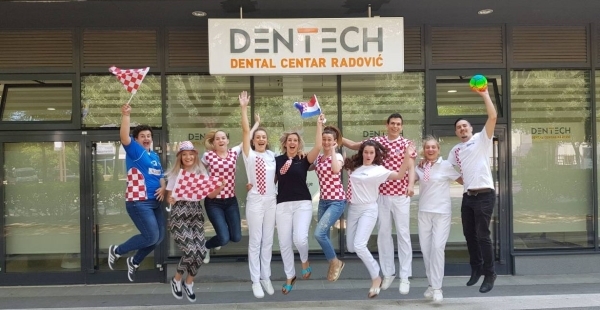 With an expert multidisciplinary team, an in-house dental laboratory and the latest dental technology, Dentech in Split, Croatia offers rapid access to a comprehensive range of modern dentistry services at fair and affordable prices. Treatments available include dental implants, CAD/CAM-designed crowns, bridges and veneers, Zoom teeth whitening, Invisalign braces, CT dental scanning and root canal treatment. Dentech explains why you should choose the beautiful city of Split in Croatia for your dental treatment. Find out about other people's experiences of the Dentech. Really impressed by her experience, watch Marie Zamboli's video and read her blog post here. Dentech is rated 5.00 out of 5 from a total of 1 review .